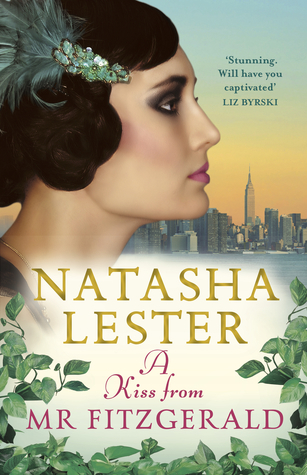 Genre: Mixed – Historical Fiction / RomanceIt’s 1922 in the Manhattan of gin, jazz and prosperity. Women wear makeup and hitched hemlines – and enjoy a new freedom to vote and work. Not so Evelyn Lockhart, forbidden from pursuing her passion: to become one of the first female doctors. I discovered Natasha Lesters blog a couple of years ago and love hearing about her books and her writing. The pictures she had drawn up for the costumes for A Kiss from Mr Fitzgerald were gorgeous. But until now I hadn’t read any of her books. Evie is a woman after my own heart, chasing her dreams and doing whatever she can to make them come true. She also happens to fall in love with a man she doesn’t expect to, and it’s not love at first sight either. I enjoyed the fact that Evie had to work a second job in order to pay for her medical studies and her life. Thomas is the perfect man for her, and it’s easy for the reader to fall in love with him too. In fact, each character is brilliantly written, and there are so many who give the world a real-life feel. A vindictive ex, a family who has rejected Evie, and a medical fraternity who don’t want to see her succeed, stack the odds against her from the start. There is also a mystery which adds a nice twist at the end. I needed to keep reading to find out what would happen next. The setting of New York during the 1920’s, along with the medicine Evie learned and performed was thoroughly researched and fascinating. I was horrified to read what women of that time went through. The only part of this novel that let me down was a decision so silly and infuriating that Evie makes towards the end that I almost couldn’t forgive her for it. I felt a little let down by that decision, as it employs a plot device I see a lot in romance and quite often leaves me confused. I almost downgraded my star rating to four, but decided it was my issue and the story was still a five star despite it. I can’t say any more because it would be giving away too much, and I think anyone who has made it to the end of this review should read A Kiss from Mr Fitzgerald.